This weekend only our friends at Medieval Times Dinner & Tournament: Atlanta are offering a HUGE discount on their tickets. Use code 25sale and get you Dinner and Tournament tickets for just $25!! This is HUGE!! You will never get the tickets this low. Consider celebrating Valentine's day a week early! What a huge surprise would this be! 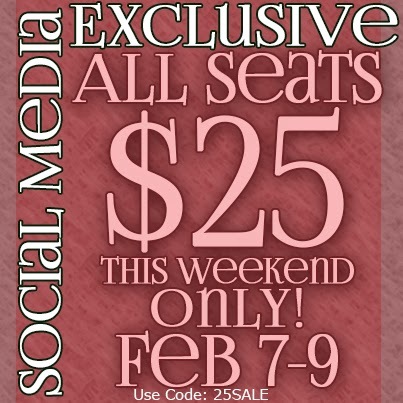 Visit bit.ly/buymedieval to secure your seats! Follow Medieval Times, Atlanta on Facebook for more Loyal Royal exclusives!